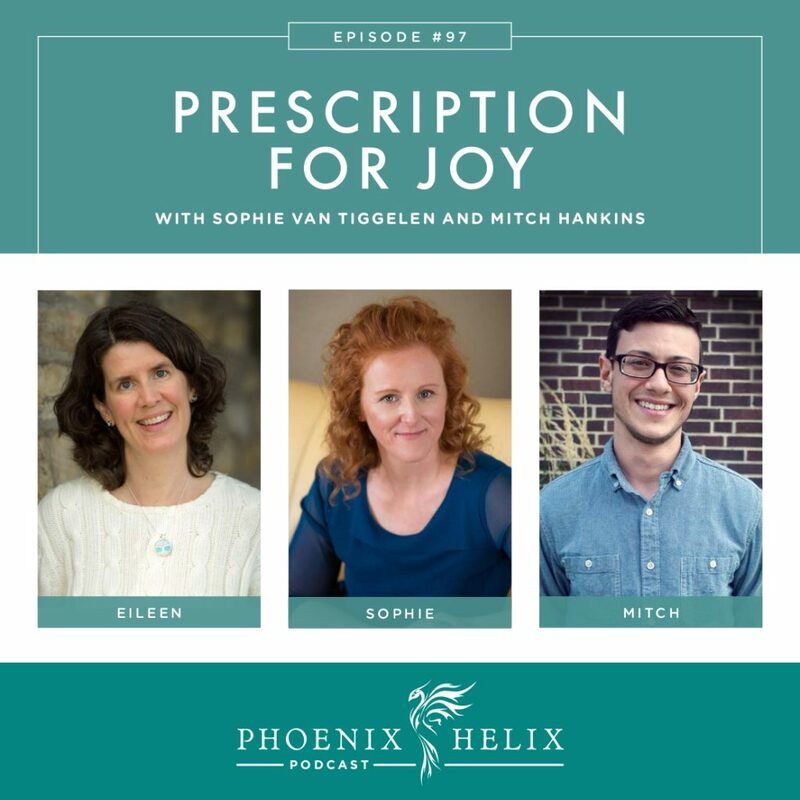 A Prescription for Joy might sound frivolous, but it’s actually an essential part of any healing protocol. When we focus on autoimmune health, we rightly focus on things like diet and sleep, supplements and medication when necessary, yet we often miss this very important piece. Life is meant to be enjoyed, even during challenging times – especially then. 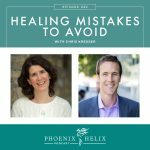 When I interviewed Chris Kresser in Episode 82 of this podcast, he mentioned that he gives this prescription to all of his patients, and he shared a powerful story of how it helped one patient in particular break through a healing plateau. Today, I’m interviewing two people for whom this was also true. At the end of the podcast, I’ll share my own experience alongside practical tips for filling this prescription yourself. Chef Anne has developed a flavorful, AIP-friendly Pineapple Chicken Curry. Other flavorful items on the menu you may not have tried include Cuban Picadillo, Nightshade-Free Bolognese, Spinach and Mushroom Beef Lasagna, and Sweet and Sour Chicken Wings. 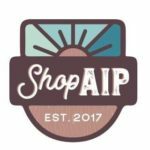 The AIP doesn't have to be boring! Resource: AIP Spice Primer. Sophie Van Tiggelen manages Hashimoto's with the help of the paleo autoimmune protocol. Sophie was diagnosed with Hashimoto's in 2009, and she was put on thyroid medication which she combined with a gluten-free diet. She didn't think much about mindset; she just tried to get back to her normal life. In 2012 she developed disabling joint pain, and that's what led her to the AIP. She responded very quickly to the diet, and again didn't address mindset, because the diet had alleviated her symptoms. In 2017, she went through a painful divorce, and her health plummeted in spite of her diet being perfect and her thyroid labs being normal. This time, nothing she tried worked to improve her symptoms. She went to her functional medicine practitioner, and he could find nothing physically wrong. He told her that it was up to her. He gave her a prescription for joy. She was very disappointed, but she went back home and remembered a book she had read, called The Hidden Messages in Water. It contains photos of ice crystals that received positive vs. negative messages, and the difference in their appearance was dramatic. Sophie realized that the human body is composed of 60% water, so maybe the same would be true for her. It was very hard for her in the beginning, and she started small. She took scented baths while reading a good book. She reached out to friends again, because she had been isolating herself. She spent time in nature. In the beginning, she took short flat walks, and as her energy returned, she increased to the mountain hikes she used to love. It took about a month before she felt any benefit from her joy practice, and those benefits grew over time. Her fatigue reduced, her mood improved, she slept better at night, and she started to feel alive again. Then she set herself a bigger joy challenge: she hosted a holiday party for 25 of her friends. It was a lot of work, but it brought her even more joy to be surrounded by a community of people who loved her, and to see how far she'd come from the day her doctor gave her this prescription. Sophie's advice: It can be hard to begin when your mind is clouded with negative feelings. She found journaling very helpful; it allowed her to bring her emotions out onto the paper, which lessened their intensity in her body. She practiced gratitude. Setting her intention to choose joy was essential, no matter how she felt in the beginning. Lastly, when she did feel joy, she concentrated on the feeling and the experience, so she could remember it later and feel that joy again. Sophie is the blogger the blogger behind A Squirrel in the Kitchen, and the author of two books: Simple French Paleo and the Autoimmune Protocol Made Simple Cookbook. Mitch Hankins manages Hashimoto’s, celiac disease, and rheumatoid arthritis with the help of the paleo autoimmune protocol. 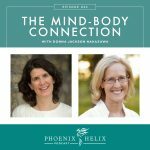 In 2014, he was at his own rock bottom with autoimmune disease, and by changing his diet and working closely with a functional medicine practitioner, he improved by 80%. That was a major improvement, but he wanted to feel 100% better, and his doctor said that might not be possible. So, Mitch independently started working on mindset, emotional healing, spirituality, and energy techniques, in an effort to find that other 20%. Six months later, he returned to his doctor and his lab values tested normal for the first time. There's a field of scientific research called psychoneuroimmunology about how our thoughts and emotions affect our immune system. Mitch has a history of chronic depression, so joy was something that felt very elusive. He could be in a beautiful setting with people he loved and still not feel it. It wasn't until he started looking for joy within himself, that he realized true joy isn't received through external circumstances, but rather is generated from within. This has been a multi-year journey for Mitch, but what made the biggest difference for him was a form of meditation which focused on spirituality – getting in touch with the deepest part of himself, as well as something larger than himself. He sees his meditation practice as a form of prayer. Books Mitch recommends: The Untethered Soul and The Surrender Experiment. Mitch is the blogger behind Instinctual Wellbeing, and he's also a health coach specializing in mindset. 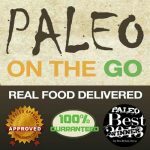 Eileen Laird ( your podcast host) manages rheumatoid arthritis with the help of the paleo autoimmune protocol. For most of my life, I've had a personality that naturally tipped toward joy. But there were two times when this wasn't true. One was RA onset, when I went from being healthy to being disabled in 6 months. I was in excruciating physical pain every day, and emotional pain as well. It was hard to see anything positive. Two things that helped me during this time were a guided meditation CD called A Lamp in the Darkness, and a gratitude practice based on the book Simple Abundance. It was also important to let myself grieve, but I also set the intention of reclaiming joy. Part of that was seeking out new activities to replace the things I could no longer do. For example, I could no longer hike at that time, but I could enjoy a good book in the sunshine, or go for a scenic drive. The second is currently happening: hormone-induced mood swings related to perimenopause (sadness, anger, and rage). Supporting hormone balance and adrenal health has helped, but it's not perfect, so it requires effort on my part to manage it well. What helps the most is upping my self-care and self-compassion, and becoming aware of the factors that make these mood swings worse (caffeine, alcohol, sugar, and stress) and what makes them better (exercise, spending time outdoors, sunlamp on rainy days, meditation, solitude, and taking a nap). I also try to avoid confrontation on mood swing days, because I know I'm more likely to overreact. Lastly, I recite the mantra: this too shall pass, which also helped me in the past during autoimmune flares. Create a list of things that bring you joy, and do one thing every day. It's fine to start small. Resource: 101 Ways to Treat Yourself That Have Nothing To Do with Food. Work on mindset. Practices like meditation, prayer, gratitude, journaling, EFT, self-compassion, and self-inquiry can all help transform our perspective and make joy easier to experience. Here are some things that can help immediately, and also offer cumulative benefits when practiced over time: 10 Ways to Boost Your Mood Right Now. Depression comes in different levels of intensity. If you are severely depressed, the first step to filling a prescription for joy might be getting professional help. There's no shame in that.